Another deadly mistake has been uncovered and corrected. Michael Keenan was released from Ohio’s death row today, after serving 24 year of imprisonment, for a crime he did not commit. This is Ohio’s second exoneration in nine months, the seventh since 1976 when the death penalty was resumed in the United States and the 141st nationally. When the Supreme Court reinstituted the death penalty 35 years ago, it did so provisionally. Since then, it has sought to articulate legal standards for states to follow that would ensure the fair administration of capital punishment and avoid the arbitrariness and discrimination that had led it to strike down all state death penalty statutes in 1972. By JOHN SCHWARTZ -- It took just 80 words for a federal appeals court to deny Kevin Cooper’s most recent plea to avoid execution. But attached to that order was a forceful 101-page dissent by a judge, all but pleading to spare Mr. Cooper’s life. “The State of California may be about to execute an innocent man,” it began. The judge who wrote the dissent, William A. Fletcher of the United States Court of Appeals for the Ninth Circuit, in San Francisco, argued that the police and prosecutors had withheld and tampered with evidence in the case for decades; Judge Fletcher even accused the district court of having sabotaged the case. Within the past two weeks two more men have left a death row prison, found innocent after serving years for crimes that did not commit. These two exonerations mark #134 and #135 since 1973, and five already in the first seven months of 2009. 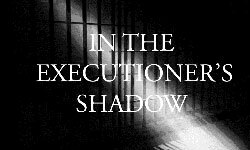 “The five exonerations this year demonstrate that innocent people still face a significant danger of execution in this country”, said Richard Dieter, Executive Director of the Death Penalty Information Center.